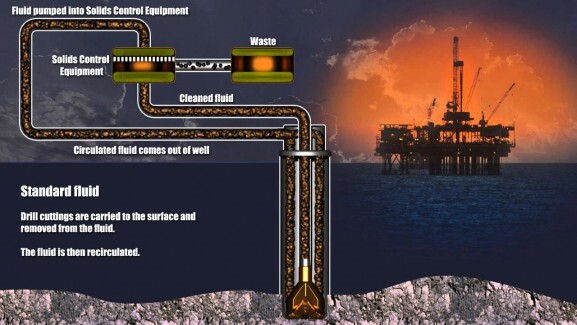 Drilling Fluids are used in drilling applications to ease the borehole creation process. Drilling Fluids have three main categories: water-based, non-water-based, and gaseous. Used to keep formation fluids out of the borehole, keeping the drilling bit clean, and to prevent overheating, Drilling Fluids can be thought of as a sanitizing lubricant for both Directional and Vertical Drilling. Drilling Fluids are just as important to drilling performance as motor oil is to the performance and lifespan of your car engine.